The Shadhili Tariqa (Arabic: الطريقة الشاذلية‎‎) is a Sufi order of Sunni Islam founded by Abul Hasan Ali ash-Shadhili. Followers (Arabic murids, "seekers") of the Shadhiliya are known as Shadhilis. It has historically been of importance and influence in North Africa and Egypt with many contributions to Islamic literature. Among the figures most known for their literary and intellectual contributions are Ibn 'Ata Allah, author of the Hikam, and Ahmad Zarruq, author of numerous commentaries and works, and Ahmad ibn Ajiba who also wrote numerous commentaries and works. In poetry expressing love of Muhammad, there have been the notable contributions of Muhammad al-Jazuli, author of the "Dala'il al-Khayrat", and Busiri, author of the famous poem, the Qaṣīda al-Burda. Many of the head lecturers of al-Azhar University in Cairo have also been followers of this tariqa. The Swedish impressionist painter and Sufi scholar Ivan Aguéli (1869–1917) was the first official Moqaddam (representative) of the Shadhiliyya in Western Europe. Aguéli initiated René Guénon (1886–1951) into the Shadhili tariqa. Guénon went on to write a number of influential books on tradition and modernity. The anniversary urs of Hazrat Qutubul Akber Imam Nooruddin Abul Hasan Alee Ash Shadhili (Razi) is held on 12th Shawwal (the tenth month of lunar calendar) at Humaithara in Egypt. Shadhiliyya has nearly 72 branches across the globe. A few prominent branches are listed below. Fassiyatush shadhili Sufi order was established by Qutbul Ujud Ghouthuz Zamaan Ash Sheikh Muhammad bin Muhammad bin Mas'ood bin Abdur Rahman Al Makki Al Magribi Al Fassi Ash Shadhili (Imam Fassi) who was a Moroccan by origin and born in Makkah. Fassiyatush Shadhiliyya is widely practised in India, Sri Lanka, Pakistan, Mauritius and Indonesia. The descendants of Imam Fassi who are Sheikhs of Fassiyatush Shadhiliyya who live in Makkah and in Jeddah visit to these countries frequently to train Ikhwan. The Darqawiyya, a Moroccan branch of the Shadhili order, was founded in the late 18th century CE by Muhammad al-Arabi al-Darqawi. Selections from the Letters of al-Darqawi have been translated by the Shadhili initiate Titus Burckhardt, and also by the scholar Aisha Bewley. 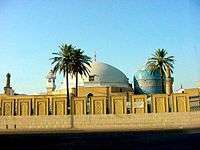 One of the first tariqas to be established in the West was the 'Alawiya branch of the Darqawiyya, which was named after Ahmad ibn Mustafa al-'Alawi al-Mustaghanimi, popularly known as Shaykh al-Alawi. "A significant book about him, written by Martin Lings, is A Sufi Saint of the Twentieth Century." The 'Attasiyah Order is a branch of the 'Alawi Order, founded by Umar bin Abdur Rahman bin Aqil al-Attas. It is centered in Yemen but also has centers in Pakistan, India, and Myanmar. The 'Alawiya order in Yemen has recently been studied by the anthropologist David Buchman. In his article "The Underground Friends of God and Their Adversaries: A Case Study and Survey of Sufism in Contemporary Yemen", Professor Buchman summarizes the results of his six-month period of fieldwork in Yemen. The article was originally published in the journal Yemen Update, vol. 39 (1997), pp. 21-24." Another figure is Sheikh Abdal Qadir al-Murabit, a Scottish convert to Islam, whose lineage is Shadhili-Darqawi. Currently his order is known as the Murabitun. At other times his order has been known as the Darqawiyya and Habibiya. One of the first books that Abdal Qadir wrote was The Book of Strangers, which he authored under the name Ian Dallas. For a brief anecdote of Abdal Qadir in the early 1970s, go" here. Another contemporary order deriving, in part, from Abdal Qadir al-Murabit is the al-Haydariyah al-Shadhiliyah, headed by Shaykh Fadhlalla Haeri. Of Shi'ite descent, Fadhlalla teaches within neither a Shi'i nor a Sunni framework. The Darqawi-Alawi branch of the Shadili tariqa also established itself in Damascus and the Levant through Sheikh Muhammad al-Hashimi al-Tilmisani, the son of an Algerian qadi, who migrated to Damascus along with his spiritual guide Ibn Yallis. After the death of Ibn Yallis, Hashimi was authorized by Sheikh Ahmad al-'Alawi (see above Martin Lings), during a visit to Damascus in the early 1920s, and was made his deputy in Damascus. A biography of his life was published in English as Shaykh Muhammad al-Hashimi: His Life and Works. The most well known living spiritual guide of this branch of the Shadhili tariqa, especially to English-speakers, is Sheikh Nuh Ha Mim Keller, an American scholar, author, and translator, who resides in Amman, Jordan. He was authorized by Sheikh Abd al Rahman Al Shaghouri, who was himself a student of Sheikh Muhammad al-Hashimi al-Tilmisani and the lead singer of his gatherings in Damascus. Advocating a holistic and erudite approach to Sufism, Nuh Keller and his students have played an instrumental role in broadening access to Islamic sciences through online education and high quality publications and translations of classical works. His tariqa is notable in attracting a large number of scholars, academics, and professionals. Sheikh Muhammad Sa'id al-Jamal, another student of Sheikh Muhammad al-Hashimi al-Tilmisani and who died in 2015, had worked from the Haram al-Sharif or The Temple Mount in Jerusalem and was a mufti of the Hanbali Madhab. He was also a student of the spiritual guide and Shadhili Sheikh Abdur Rahman Abu al Risah of Halab of the Shadhili Yashruti line. He was a direct descendent of Muhammad, through his ancestor Ahmad ar-Rifa`i. He wrote many books in both English and Arabic on Sufism, tafsir, and healing. His students from the US also established the University of Spiritual Healing and Sufism which is devoted to the Sufi way of healing. Another branch of the Shadhilia which has groups in Egypt, Indonesia, Turkey and America is the Shadhilia-Batawia founded by Sheikh Ibrahim al-Batawi, for many years professor at al-Azhar. He was a confrere of Sheikh Abdu-l-Halim Mahmud, Shaikh al-Azhar, who was very influential in the revival of Sufism in Egypt. Sheikh Ibrahim’s student, Sheikh Abdullah Nooruddeen Durkee has established the Shadhdhuliyyah-Baddawia order in the US. Sheikh Nooruddeen has translated and transliterated the Qur'an and has compiled two definitive books on the Shadhdhuliyyiah, Orisons and Origins. "Between October 17–26, 1999 the First International Shadhilian Festival occurred in Egypt. It concluded with a pilgrimage to the tomb of Abu 'l-Hasan al-Shadhili and involved Sufi gatherings of dhikr" and the singing of qasidas, or classical poetry. For more details on this topic, see Miguel Asín Palacios § John of the Cross. It has been suggested that the Shadhili school was influential on St. John of the Cross, in particular on his account of the dark night of the soul and via Ibn Abbad al-Rundi. This influence has been suggested by Miguel Asín Palacios and developed by others, who claim that Ibn Abbad al-Rundi drew detailed connections between their teachings. Other scholars, such as José Nieto, argue that these mystical doctrines are quite general, and that while similarities exist between the works of St. John and Ibn Abbad and other Shadhilis, these reflect independent development, not influence. ↑ al-Ṣabbāgh, M.A.Q.I. ; Douglas, E.H.; Abu-Rabiʻ, I.M. (1993). The Mystical Teachings of al-Shadhili: Including His Life, Prayers, Letters, and Followers. A Translation from the Arabic of Ibn al-Sabbagh's Durrat al-Asrar wa Tuhfat al-Abrar. State University of New York Press. ISBN 9780791416136. Retrieved 2015-02-26. ↑ "Sufis & Shaykhs  - World of Tasawwuf". spiritualfoundation.net. Retrieved 2015-02-26. ↑ "Fassiyathush Shazuliya | tariqathush Shazuliya | Tariqa Shazuliya | Sufi Path | Sufism | Zikrs | Avradhs | Daily Wirdh | Thareeqush shukr |Kaleefa's of the tariqa | Sheikh Fassy | Ya Fassy | Sijl | Humaisara | Muridheens | Prostitute Entering Paradise". shazuli.com. Retrieved 2015-02-26. 1 2 3 4 5 Alan Godlas, "Sufism, Sufis, and Sufi Orders: Sufism's Many Paths"
↑ "Un precursor hispano musulman de San Juan de la Cruz", which was later reprinted in Huellas del Islam (1941), at 235-304. An English translation was made by Douglas and Yoder as Saint John of the Cross and Islam (New York: Vantage 1981). ↑ Research developing the work of Miguel Asín Palacios includes Luce López-Baralt's book, San Juan de la Cruz y el Islam (1985, 1990). ↑ José Nieto, Mystic Rebel Saint. A study of Saint John of the Cross (Geneva: Droz 1979) at 25-27. Cf., Swietlicki, Spanish Christian Cabala (1986) at 184. Shadhili Tariqa A comprehensive introduction with material from Sh. Nuh Keller. Nasheed group based in Avignon, France. Ba`alawi.com Ba'alawi.com | The Definitive Resource for Islam and the Alawiyyen Ancestry. Shahdili section of Dr. Godlas' Sufism website. Discusses various Shadhili branches.